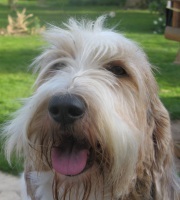 ... and sharing her bed September 2015. 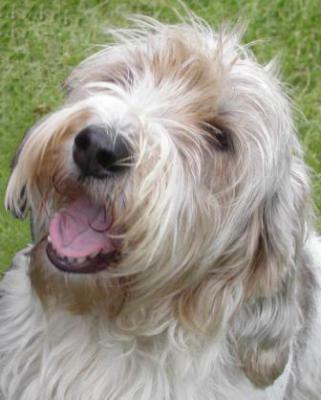 We all miss her. 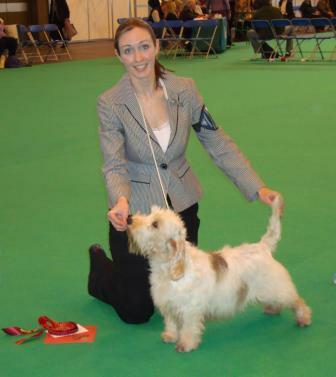 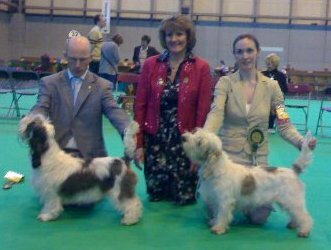 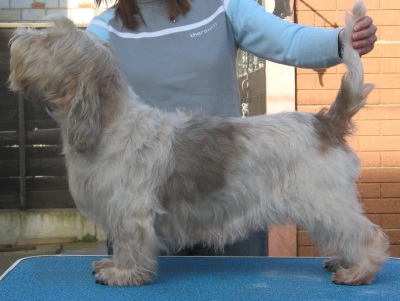 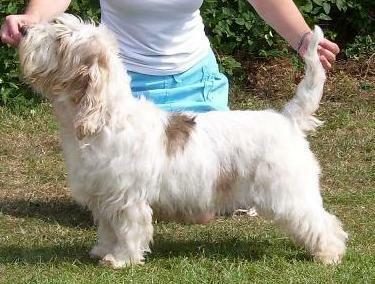 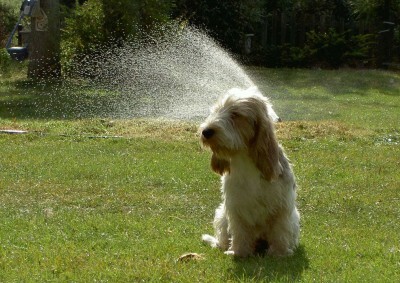 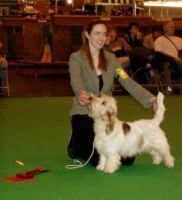 Saffi hung up her show lead after finishing on a high at Crufts 2010. 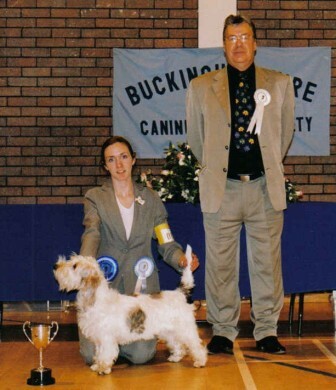 She was always a consistent winner and we remain very proud of her achievements. 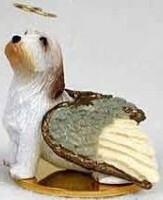 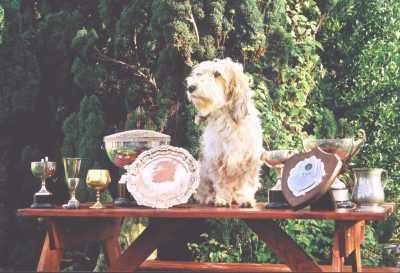 Geoffrey had a rather unusual start to life, winning consistently for his new owner but determined to escape. 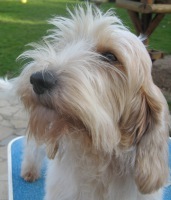 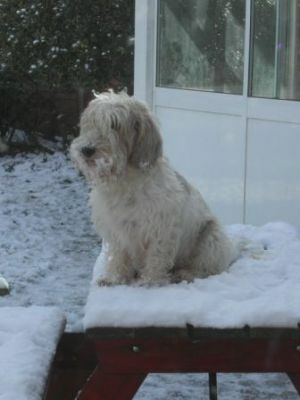 After the final escapade, when he was was found over one hundred miles away, we asked to buy him back. 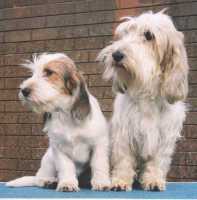 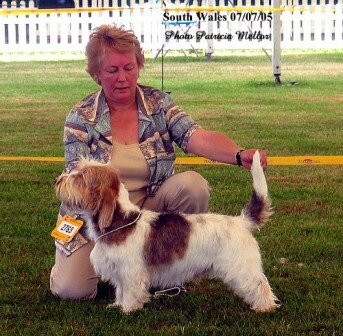 He then went to live an extremely happy and comfortable life in Wales with Diana Sadler. 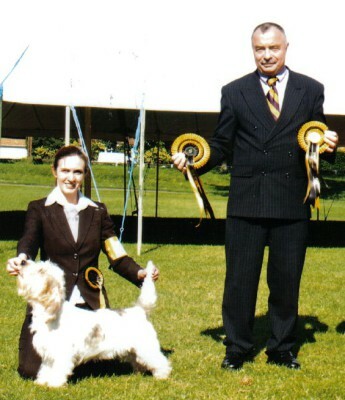 We co-owned him with Diana and helped to keep him winning in the ring, including taking him to Denmark in 2006. 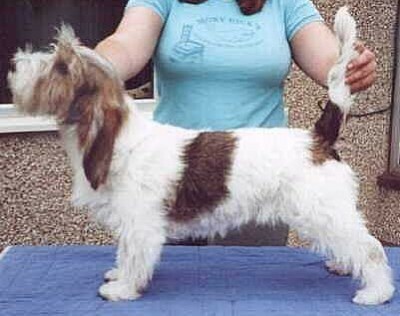 Born the same day as Monkhams Café au Lait, Nova took a back seat to Mindy's show success and appeared in the ring only occasionally. 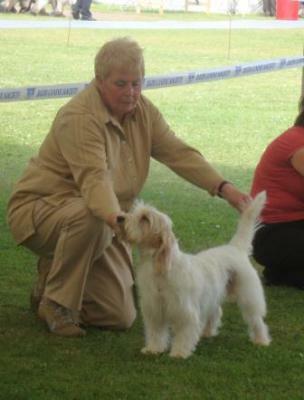 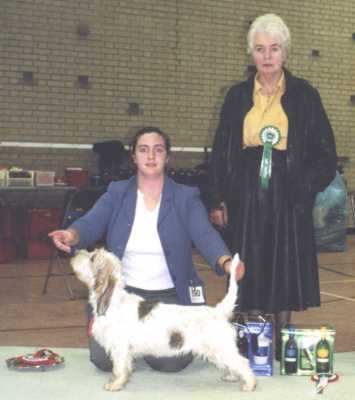 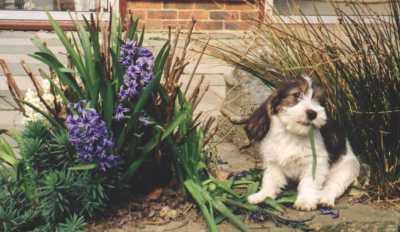 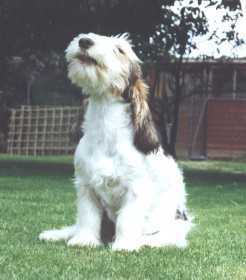 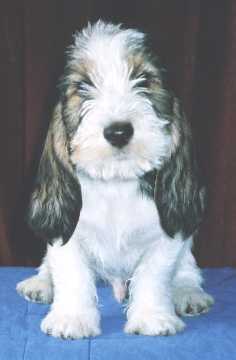 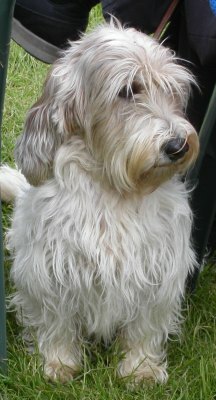 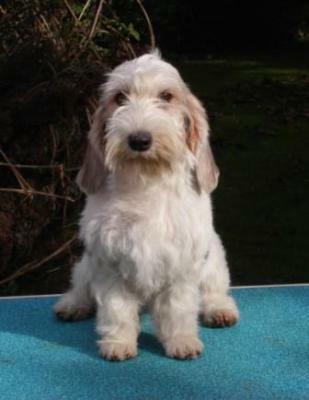 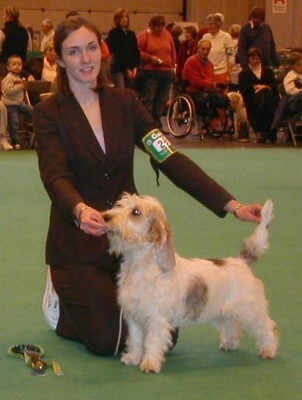 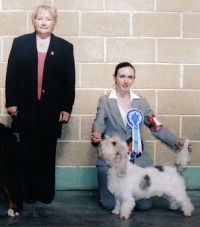 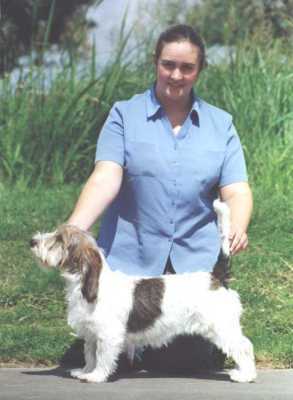 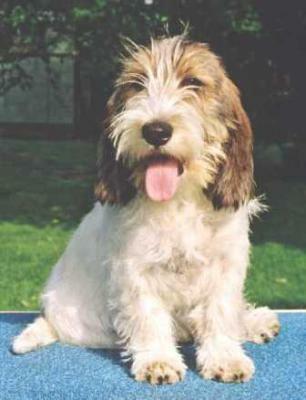 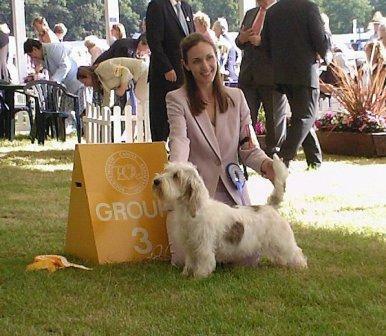 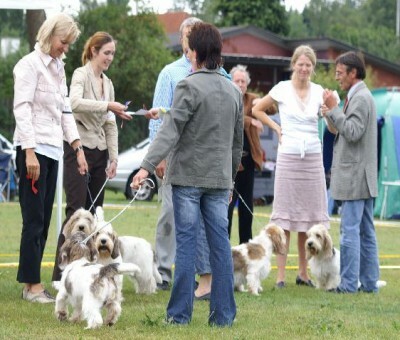 Alice decided early on in her show career that she would rather stay at home - but not before she had won the RBCC and Best Puppy at Houndshow 2000 - her first show, aged 6 months and 6 days. 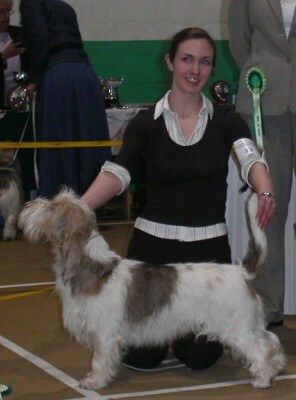 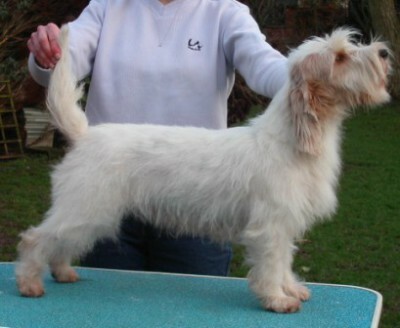 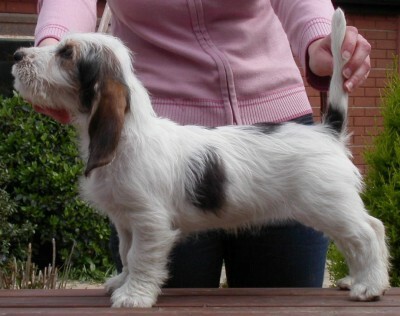 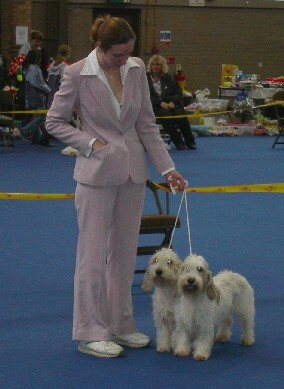 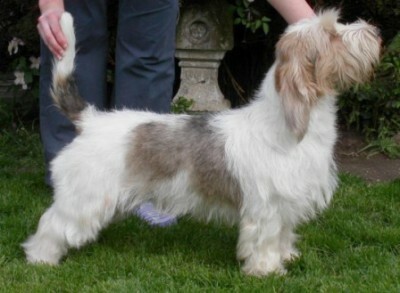 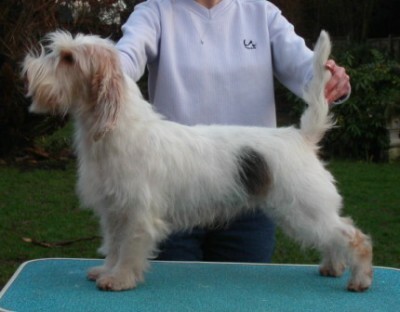 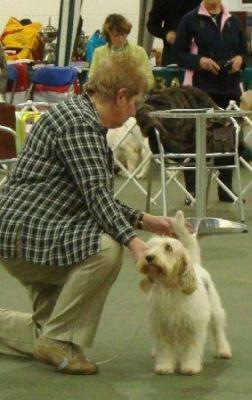 The next day she followed this up by winning the Hound Puppy Group at Worthing.